Motor City Masters — a reality show in search of “America’s next great car designer” — will be in Detroit Wednesday to film its series finale, during which the last two (and, so far, unnamed) contestants will go head-to-head in front of car designers from Chevrolet. The series — which required contestants to create a fully functional (though not street legal) concept car in each episode — was mostly filmed in Long Beach, Calif., in a building where General Motors once photographed its cars and trucks. 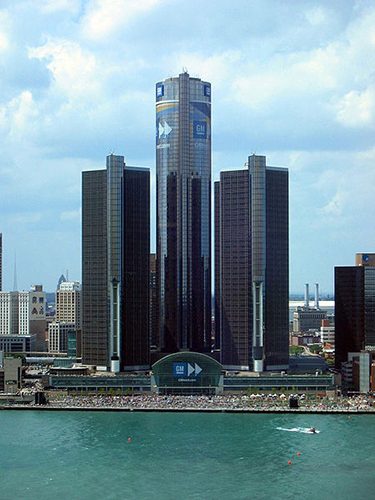 The series finale, will take place in the GM World exhibit in the lower level of the RenCen, which will be temporarily closed to the public. The series is set to air this summer. During the competition, Jean Jennings, president and editor in chief of Automobile Magazine, car designer Harald Belker, and a different weekly guest judge, reviewed the designs during the 10-episode show. “The challenges (the contestants) face will push them to really think about what the American public wants in a car and how the car can better serve their needs,” says Jonathan Murray, co-executive producer of the show and chairman of Bunim/Murray Productions. The winning designer will receive a 2014 Camaro Z28, $100,000, and the opportunity to showcase his or her design at future auto shows. To learn more about Motor City Masters, visit facebook.com/MotorCityMasters.